Four Senators from the United States of America (USA) have petitioned the Senate Appropriations Committee to cut off foreign aid to Ghana should the small West African country fail to keep the two ex-detainees from Guantanamo Bay from escaping to “re-engage in terrorism against the United States”. Senators James Lankford of Oklahoma, Mark Kirk of Illinois, Roy Blunt of Missouri, and Steve Daines of Montana penned down the request and also pleaded with State and Foreign Operations and Related Programmes Chairman Lindsay Graham to carry out its implementation. “We, therefore, request the Committee to include in the fiscal year 2017 State, Foreign Operations, and Related Programs appropriations bill, language that would reduce assistance to Ghana by $10 million per detainee in the event either of these detainees escapes from confinement or re-engages in terrorism while in Ghana’s custody. Such language would incentivise Ghanaian authorities to allocate appropriate resources to closely and securely monitor the activities of these terrorist detainees,” they stated. The letter, which was submitted on Wednesday 27 January, 2016, also indicates states that: "We are grateful for Ghana’s friendship and the strong bilateral relationship between our two countries. "As members of the Senate Appropriations Committee, we have consistently voted to support foreign assistance to Ghana. However, with the U.S. Intelligence Community in agreement that 30 per cent of the terrorists released from Guantanamo are known or suspected to have re-joined the fight against Americans, it is reckless to release more of these prisoners, particularly when the ability of the host country to hold and monitor these detainees is in doubt,” the Senators wrote. The two ex-detainees: Mahmud Umar Muhammad Bin Atef and Khalid Muhammad Salih Al-Dhuby, arrived in Ghana on Thursday January 7, 2016 for a two-year stay, as part of a deal reached between the United States of America and the Government of Ghana. We are concerned about the Administration’s transfer of two Guantanamo terrorist detainees to Ghana on January 6, 2016, and the Ghanaian government’s capacity to hold, monitor, and ensure these terrorist detainees do not reengage in terrorism against the United States and our allies. As you know, the Administration transferred Yemeni detainees Mahmoud Omar Mohammed Bin Atef, a Taliban fighter and member of Osama bin Laden’s “55th Brigade” who threatened to cut the throats of American guards and their families upon release, and Khalid Mohammed Salih al Dhuby, an al Qaeda fighter in Afghanistan who reportedly threatened to kill guards at Guantanamo Bay, to Ghana after President John Dramani Mahama agreed to host them for two years. President Mahama, who also maintains these terrorist detainees pose no threat, asserts they are housed safely on a security compound. The security procedures for the terrorist detainees’ compound remain unclear, however. What is clear is Ghana’s Foreign Ministry says their nation will accept the terrorist detainees “for a period of two years, after which they may leave the country”. While Ghana has not previously held terrorist detainees, the nation’s prison system provides an illustrative indicator of the country’s limitations in credibly detaining and monitoring these hardened terrorists. The prison system is plagued by decay and mismanagement. The majority of Ghana’s prison facilities were constructed during the colonial era and lack the modern infrastructure required to hold inmates. According to one third-party study, the country’s prison system operates at 145 percent capacity nationally, with some prisons operating up to 300 percent over capacity. 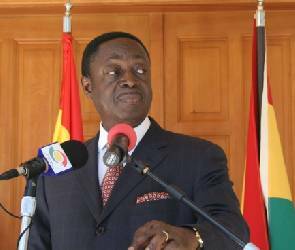 In recent years, 30 or more prisoners have escaped from Ghana’s prisons annually. It is clear no facility in the world, let alone in Ghana, could detain terrorists as securely as Guantanamo. We are grateful for Ghana’s friendship and the strong bilateral relationship between our two countries. As members of the Senate Appropriations Committee, we have consistently voted to support foreign assistance to Ghana. 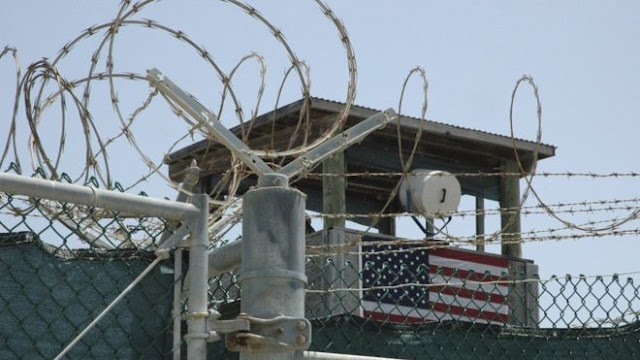 However, with the U.S. Intelligence Community in agreement that 30 percent of the terrorists released from Guantanamo are known or suspected to have re-joined the fight against Americans, it is reckless to release more of these prisoners, particularly when the ability of the host country to hold and monitor these detainees is in doubt. We, therefore, request the Committee to include in the fiscal year 2017 State, Foreign Operations, and Related Programs appropriations bill, language that would reduce assistance to Ghana by $10 million per detainee in the event either of these detainees escapes from confinement or reengages in terrorism while in Ghana’s custody. Such language would incentivize Ghanaian authorities to allocate appropriate resources to closely and securely monitor the activities of these terrorist detainees. Thank you for your leadership of the Senate Appropriations Committee and the Subcommittee on State, Foreign Operations, and Related Programs. We appreciate your consideration of our request. Which country am I proud of and from? MD5 template. Template images by MD5. Powered by Blogger.. Picture Window theme. Powered by Blogger.